Christmas is just around the corner! Literally, like just a couple of days now. I am excited to share this little DIY project I made a couple of weeks ago. I saw it on Pinterest, of course! If you want hints to what I’m getting ready to post about or glances into my wishlists you can follow me on Pinterest. Anywho, I just had to do this project for my Christmas tree! I couldn’t just keep this cut yet simple little DIY to myself. I will share with you a step by step of how I made this ornament. Cut the page from the book in little strips. I cut mine in thin pieces so it was easier when I started to glue it on the ornament. Cut the strips in half. This made it easier when I did this project, it fits better and you can manage better too. 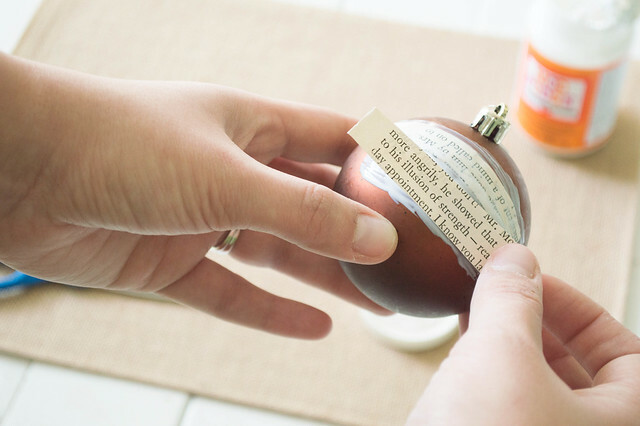 Put Mod Podge in a section of an ornament. It’s better to do section by section so it doesn’t turn into a mess! 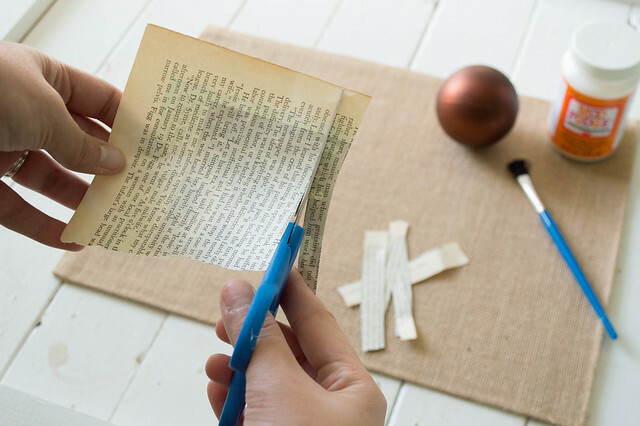 Put a strip of paper on where the Mod Podge is. 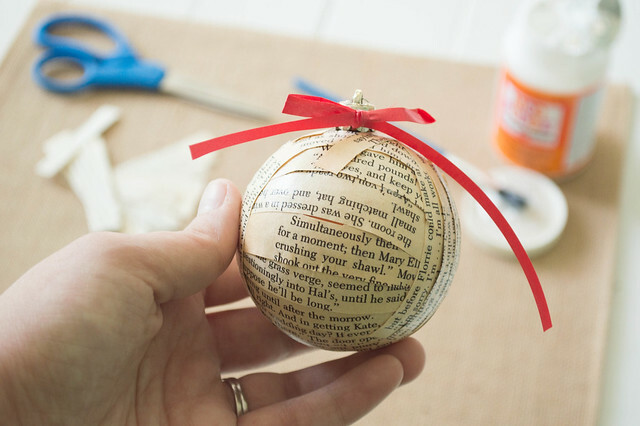 Add Mod Podge on top of the paper so it seals and adheres to the ornament. It also makes a shiny coat to the ornament. 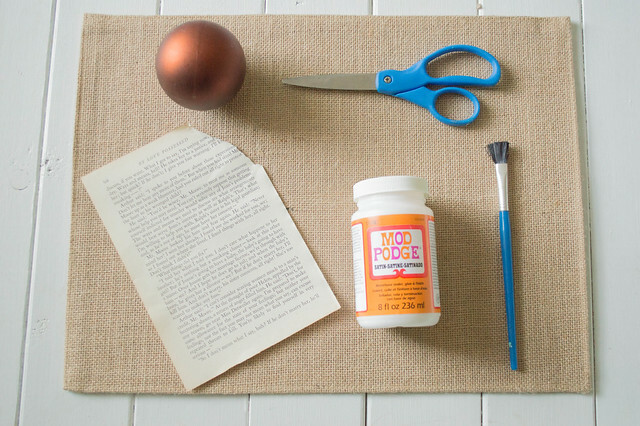 Note: There are different types of Mod Podge. They are all different finishes. Mine is the satin one. I didn’t want one too shiny. Continue! 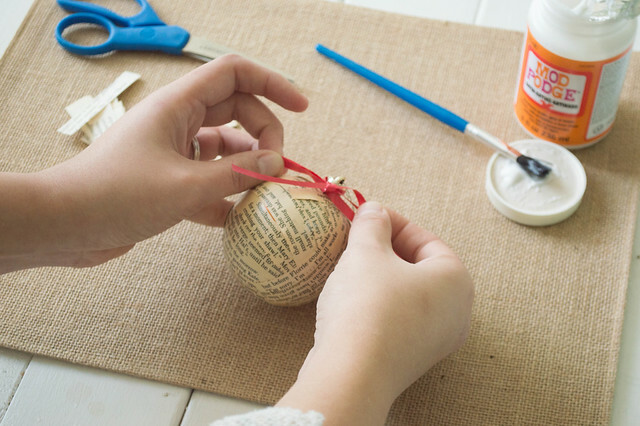 Keep adding Mod Podge and glueing the paper on the ornament. 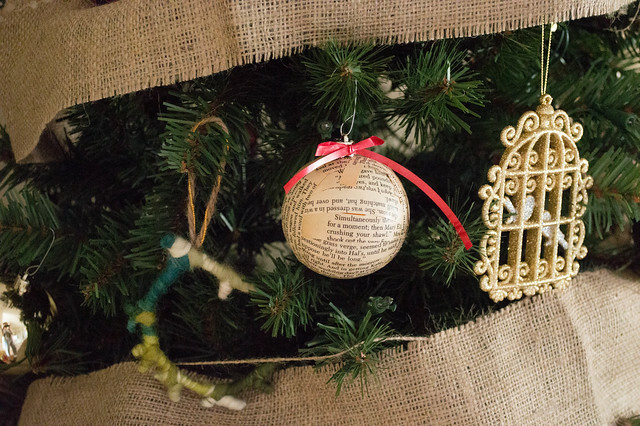 When the ornament is fully cover, you can put more Mod Podge on top to get rid of any gap. Don’t be afraid of getting your hands messy! 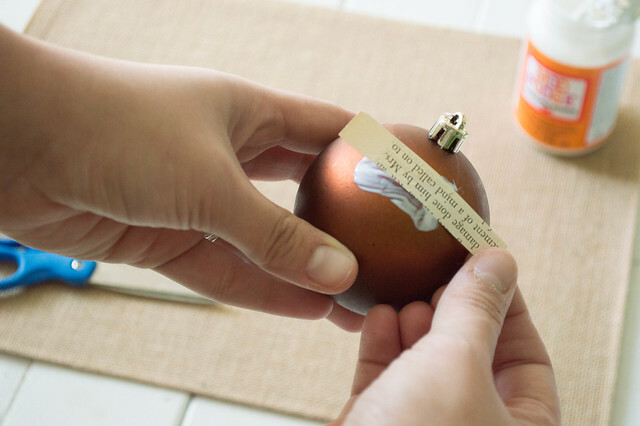 You can use your hand to really seal the paper on the ornament and so there is no gaps. You can add some ribbon on top or twine! This will really finish off this cute ornament! 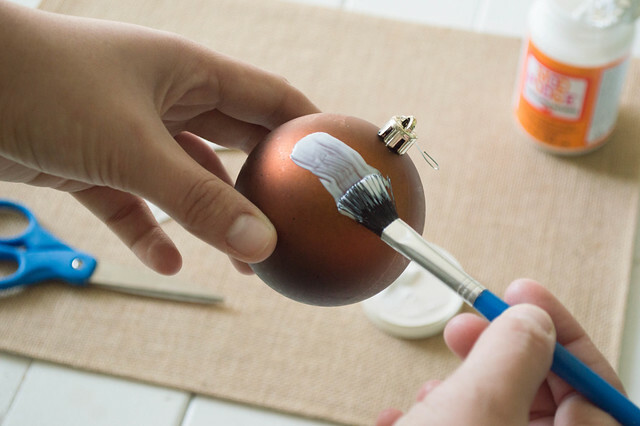 Remember, it needs to dry overnight, I would recommend hanging the ornament and not leave it to dry on top of anything. 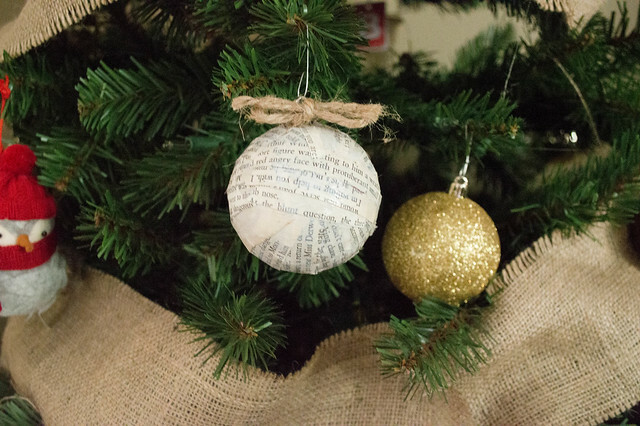 Now you can put it on your Christmas tree! 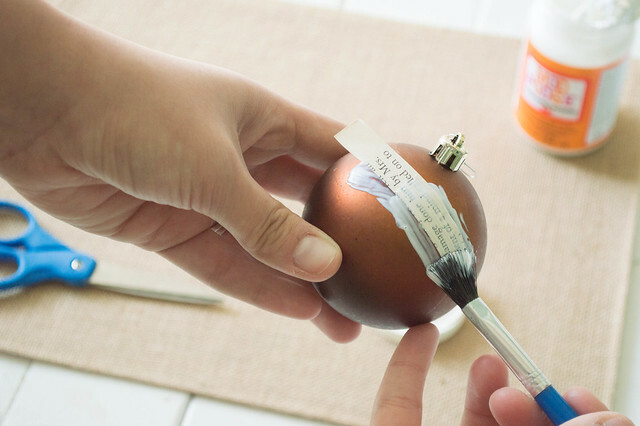 This easy idea made my Christmas tree so much prettier! I love how it turned out and that part of my personality is part of my Christmas tree now. Not only simple but inexpensive too! Great gifts if you’re looking to save money this year. 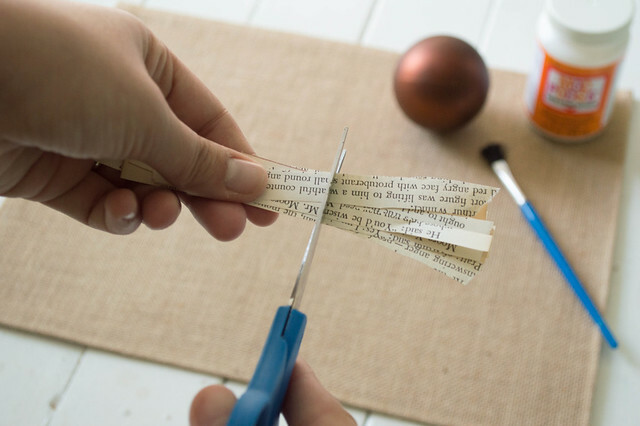 Add their personality to it too by using pages from one of their favorite books, or use song sheets of their favorite songs. 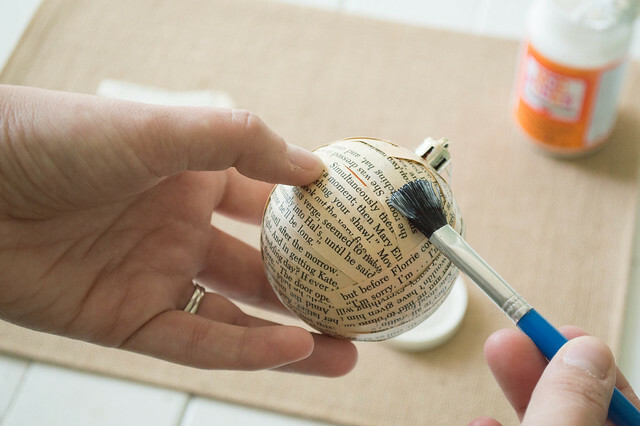 I hope this step by step guide really helped and that you feel inspired of creating this cute little ornament to be part of your Christmas!